Wood County vital records, incomplete prior to statewide registration in October 1907, exist from 1844 (marriages), 1871 (births) and 1872 (deaths). Historical records, available online, are found at the Wisconsin Historical Society, including a statewide index. Certified and uncertified copies of records since 1907 can be ordered from the Vital Records office of the Wisconsin Department of Health Services, by mail, fax or in person, for $20 including a five-year search, with online ordering through VitalChek. The Wood County Register of Deeds in Wisconsin Rapids honors written requests for copies; the Clerk of Court will issue copies of divorces. 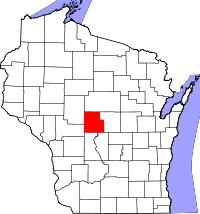 Wood County was formed in 1856 from Portage County.